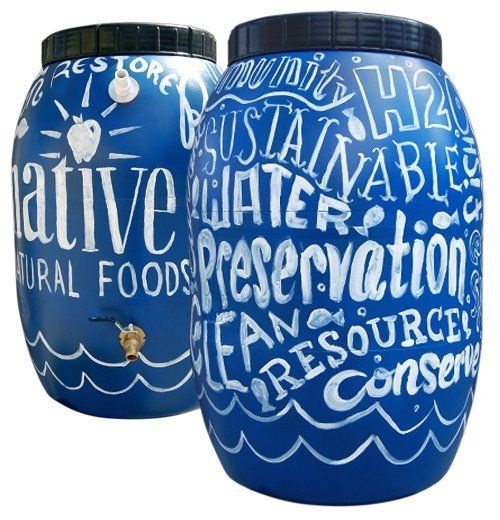 Rebates on Rain Barrels... Get Yours! You can get your very own rain barrels for only $55 after rebate from the Solana Center! 1. Order online from the link below by selecting your pickup location and then click BUY NOW. 3. Pickup your rain barrel at the location you chose- we like the Solana Center in Encinitas. Order your rain Barrel Today! 3. Supplement your water supply and lower your fresh water usage. 4. Rainwater is a FREE resource that's easy to harvest and use! Feel good about protecting one of our most precious natural resources!